The Bradley, an historic building, constructed in 1909 as a former residence and converted into condos in 2005. 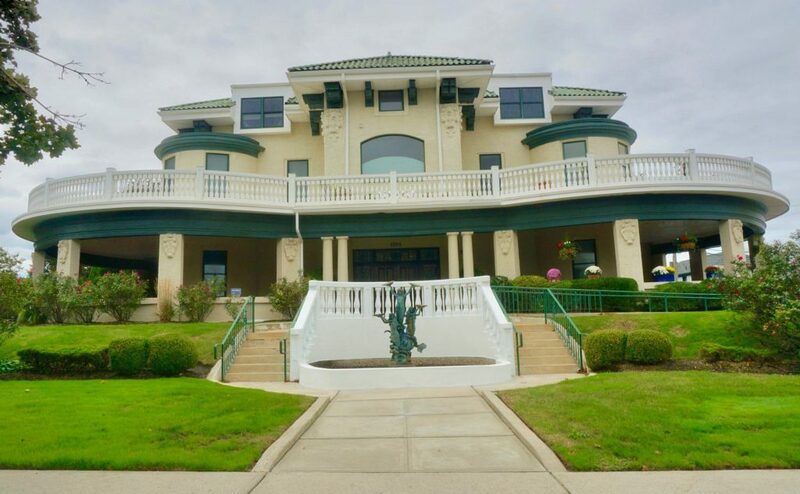 This stunning upscale building is located in North East Asbury Park at 1701 Park Avenue. The exterior is noted by the dual staircase and mermaid water fountain. It’s lush landscaping make it one of the prettiest properties in the area. The gorgeous lobby has wainscoting, coffered ceiling and stained glass windows. There are a total of 12 units comprised of 2 bedrooms and 2 bathrooms. Units feature hardwood floors, 10’ ceilings, crown molding, updated kitchens & baths, washer & dryer in unit. There is a large outdoor stone terrace to relax on and some units have a private terrace. There is storage in the basement. Off street assigned parking can be purchased for an additional fee. The beach is only 3 blocks away and the hot spots of Cookman Avenue, just 1 mile. For commuters, the train station is just 1 mile.